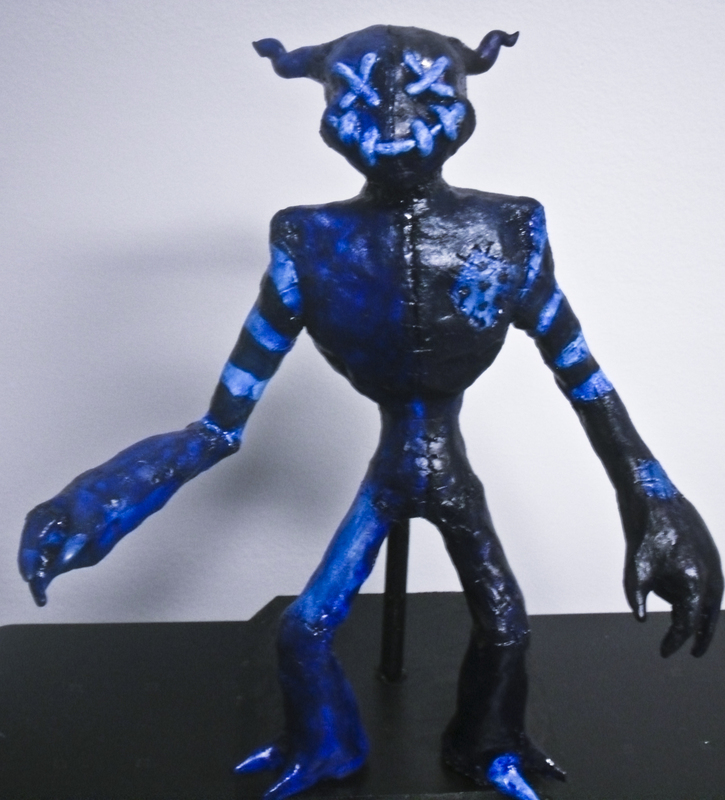 A sculpture I did in my 3D design class that is made out of clay and then dried and painted over with acrylic paint. It is supposed to be of a character we come up with, and here is my character Mumble. Mumble is a living doll, created by a scientist to work as his assistant. But Mumble had his own will, and go bored of working for the scientist and ran away to be on his own. He now spends his days wandering around, just having a good time and enjoying his new found freedom. While it is hard to imagine a living doll to have any personality, Mumble has plenty. His intelligence it something like a young child, curious and naive, and he tends to get in trouble because he doesn't know better. He is playful and friendly, and enjoys to be around people, though most are frightened of him. He is also reckless, and gets hurt a lot, and has to patch himself up every now and then. Mumble never wants to hurt people, but sometimes he does and gets depressed when he figures it out. And while rare, he can also get very angry, but it is more of tantrum and not anything dangerous.